Japan is always a fascinating and exhilharating country to visit, and I've been going there since 1991, and always come back impressed not only with the country but also the Japanese culture, the dedication of the Japanese musicians and the concert going culture that still exists there. One of the first very talented musicians I ever met in Japan was Shoichiro Hokazono, who played Pantomime for me in a masterclass in a basement studio in Tokyo. Immediately I recognized a great talent, a musician with vision, strength and a dynamic personality. He had been clearly studying the sound and styles of prominent euphonium players, and I could hear recognization similar features in his vibrato, to my own playing! I remember asking him if he had heard, by chance, my recording of Pantomime, on the Rondo CD. He said.."Yes, many times !!. 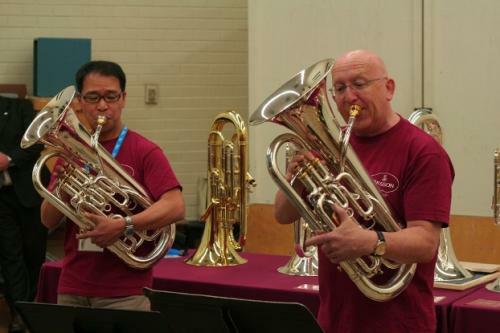 Well this was the beginning of a long friendship and we meet just about every year somewhere, at International Tuba Euphonium Conferences, when I'm touring Japan or when Shoichiro is in Europe. I even went to Japan just to play at his wedding in the mid 1990s. 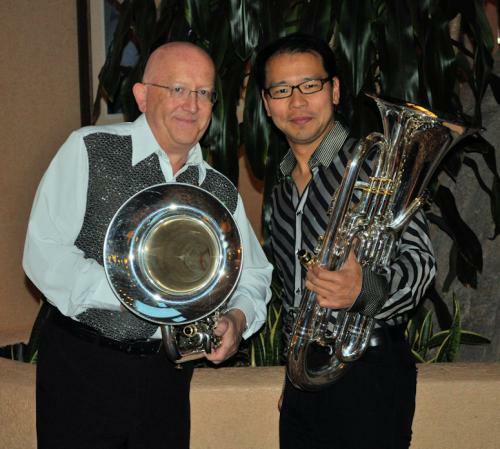 To my very great delight, Shoichiro switched to the Besson euphonium about a year ago and it was then we hatched the plan of doing a tour together in Japan. With fantastic support from Buffet Crampon Japan, this tour is finally upon us, and it begins on Sunday 19th Sept. when I leave for Tokyo. Our four concert tour of Japan officially begins on September 23rd with a gala concert in Tokyo, following up with concerts in Nagoya, Osaka and Fukuoka. It promises to be a memorable event, especially for the many euphonium fans in Japan, and of course for Shoichiro and myself. We will be joined by a young highly successful tuba player Shinpei Tsugita who will play some solo works and join us in a few ensemble works. An upcoming brass band, Flourish Brass, will be featured in the concert in Fukuoka, in which I'll be playing the Euphonium Concerto by Philip Wilby. A few world premiere performances will take place including the specially commissioned work which climaxes each concert, Three Momentum, by the award winning young Brazilian composer Fernando Deddos. 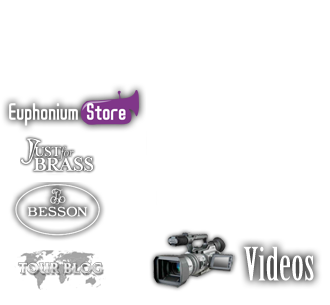 I will be taking photos and videos of the tour and will post on this site and on facebook.